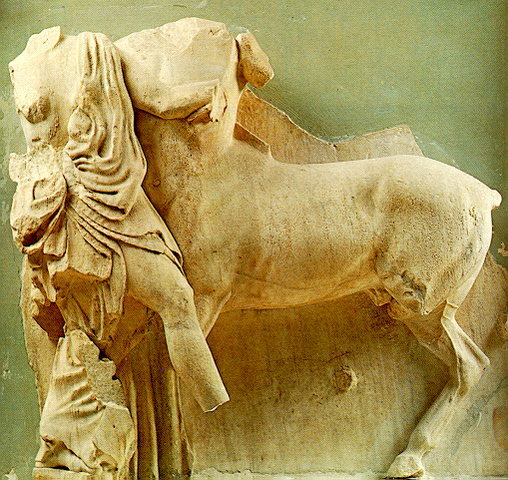 Metope from the Parthenon. The relief comes from the south side of the building, where the metopes represented Centauromachy. In this scene a Centaur is shown seizing a Lapith woman. Inv. no. 705.